Author: Mabee, Carleton Set In . . . 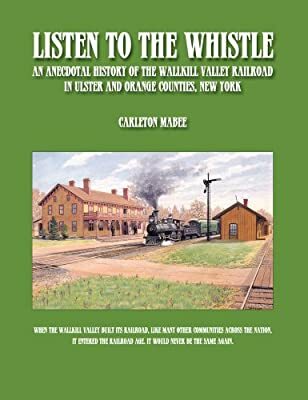 Description: In this first book ever to be published on the Wallkill Valley Railroad, Pulitzer Prize-winning author Carleton Mabee tells the story of a gallant little railroad that connected Orange and Ulster Counties and aspired to be part of a major trunk line reaching from metropolitan New York all the way to Albany. A human, more than technological, story, it tells not only of hissing steam engines but also of trainmen high in their cabs, farmers shipping milk and fruit, children riding to school, and the weary hearing train whistles as hints of adventure in distant places. Long out of print in hardcover, Listen to the Whistle, has just been released in paper.